It’s important for social data to be relevant to stakeholders within organisation, but often they speak only to the practitioners. This makes it difficult to communicate value, or to make important decisions related to the use or investment in social media for the organization. It does not need to be so. Tie social to the big picture by linking it to organisational and departmental goals. Users can start with tracking the Like, @mention, Retweet or Follow, but tap in to the power to go much further and deeper. Build the capacity for measurement into every social action. Use URL shorteners, like our own ow.ly links, to track your click-throughs. Integrate Google Analytics and Facebook Insights to track on-site conversions or drill in to geographic disparities in data. One of the more powerful, recent integrations at HootSuite is our partnership with Adobe SiteCatalyst. For the first time ever, you’re able to track the path from social message to conversion and attach a dollar value to individual social messages against Key Performance Indicators. You’re able to see which social platform performs best against certain kinds of messaging, analyze which of your Social Advocates is driving more revenue per message and understand what times of day work best for which kinds of communication. MediaLeaders, working on behalf of The Palms Hotel in Las Vegas, ran a compelling pilot study of this capability in 2011 where they were able to directly link room reservations to individual tweets. Reporting is important. 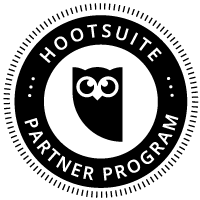 With HootSuite you can use data gained from Adobe SiteCatalyst, Webtrends, Facebook Insights, Google Analytics, Google+ Pages Analytics, Twitter Profile Stats, our own custom ow.ly Click Stats to generate easy, drag and drop social analytics reports shared easily by email. More importantly, you can analyze that data to optimize future programs and messaging. Article written by Evan LePage and originally posted on HootSource.